Shoal Draft Keel 800 lbs. Mast height above water line 25 ft.
Mint condition with new battery (2018). Factory recommended 5 yr. service done in April 2017. 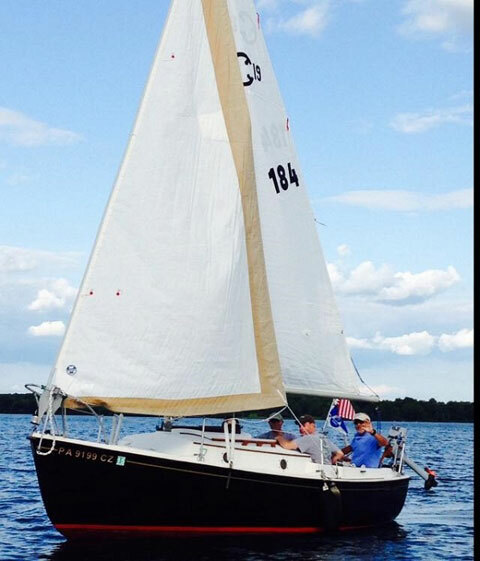 Custom fabricated North Sails in excellent shape. Cleaned and serviced, as required, every year. 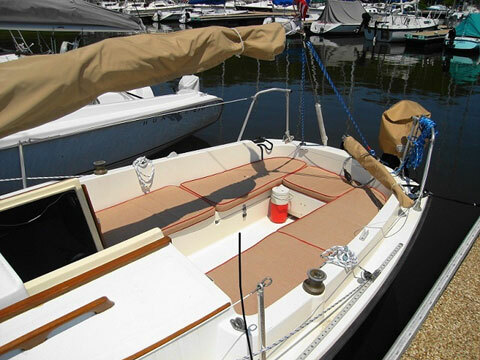 Roller Furling Jib (CDI Flexible Furler 1) Original hank on jib in like new condition is included. 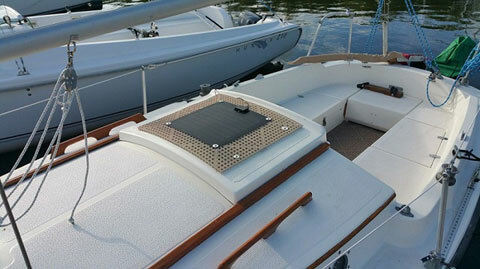 Sunbrella custom sail, furler, tiller and motor covers new 2009. They match the custom made Sunbrella interior bunks and cockpit cushion. All well maintained and it excellent condition. All blocks replaced in 2009 with high quality hardware. All lines lead to cockpit. Standing and running rigging in very good condition. New tires in 2015, new trailer tongue jack in 2017. 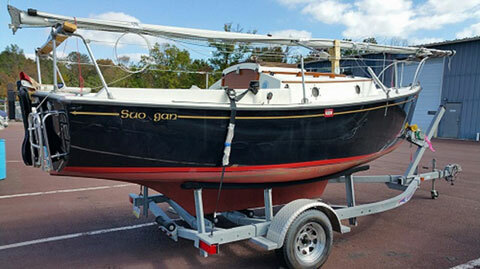 Trailer is well maintained and in excellent condition. Upgraded Garelick multi-position Motor Mount. 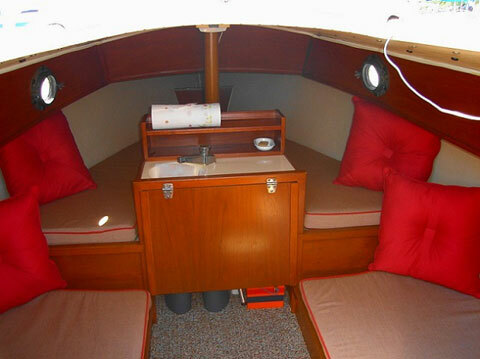 Custom Sunbrella cockpit and interior bunk/ V berth cushions. Also have a custom cut indoor/outdoor carpet for the V berth that matches floor carpet. This boat has the "kitchen option" which includes built in sink and fold up table in cabin. Porta-potti in like new condition, never used. Will Include a West Marine hand-held VHF Marine Radio w/chargers in perfect working order. Will include many extra parts and "bits and pieces" collected over the years. 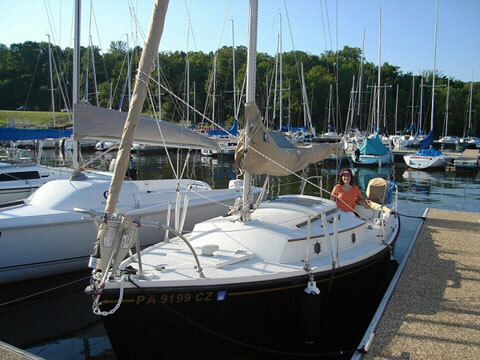 I found this boat to be an exceptional looking, well built and stable sailboat in good condition in 2007. A great "pocket cruiser". Over my 12 years owning it I have striven to add many upgrades make it better each year. Unfortunately, due to a knee problem I must to sell it. It is ready to go - sailing.